There were two vacant seats in the front row as Luka Modric’s crowning at the 2018 Ballon d’Or ceremony brought the curtain down on a dominant era and signaled the beginning of a new one. The culprits? The two who had shared the prize over the past 10 years but who must now go by the title of the Croatian’s predecessors. It was well documented that Lionel Messi and Cristiano Ronaldo would finally be toppled off their perch on Monday night, and the two both rejected the invitation to witness their own ousting at the decadent Grand Palais in Paris. 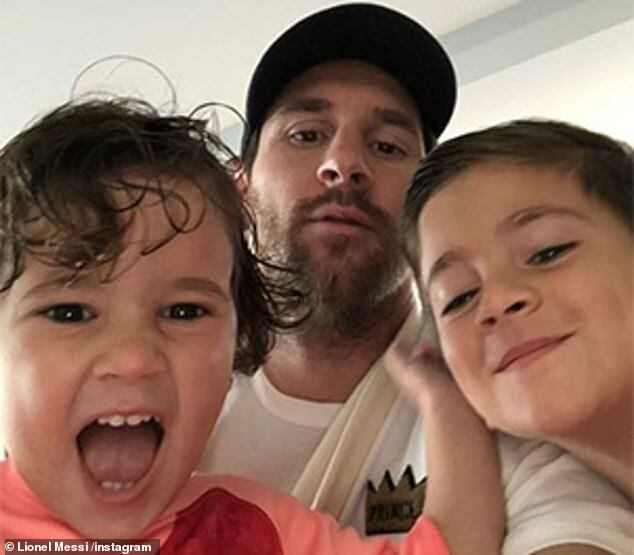 Messi, who finished fifth in the standings, instead spent the evening with his family and published a picture of him with his two sons Thiago and Mateo on his Instagram. Juventus star Ronaldo came closer than his counterpart to keeping the tradition going, finishing second, but was still some way off denying Modric of his deserved award, receiving 476 points to the Croatian’s 753. There have been no words yet from the man himself but it seems that Portugal are struggling to accept the decision by insisting ‘we all know’ that Ronaldo is the greatest of all time in a post on social media in the immediate aftermath of the ceremony. But that reaction pales in comparison to the fury shown by Ronaldo’s sisters after he was pipped to the award by his Real Madrid team-mate. For Modric, receiving the ultimate recognition for a remarkable 2018 was the icing on the cake. He won the Golden Ball for his performances in Russia and then claimed the FIFA ‘Best’ prize in late summer but it is this trophy – the one created by France Football and first presented to Sir Stanley Matthews in 1956 – that truly put the seal on his superlative efforts. ‘I have such sensational emotions that I can’t really describe,’ said Modric, who credited the four years he played for Tottenham being crucial to his development. ‘When I was a kid, the dream was to play for big clubs and win trophies. ‘The Ballon d’Or was more than a dream. I simply cannot believe it. For all my career, I have tried to work hard and have persistence. In the tough moments, you have to show your courage and I always said the best things do not come easy. To achieve all this, it has not been easy. 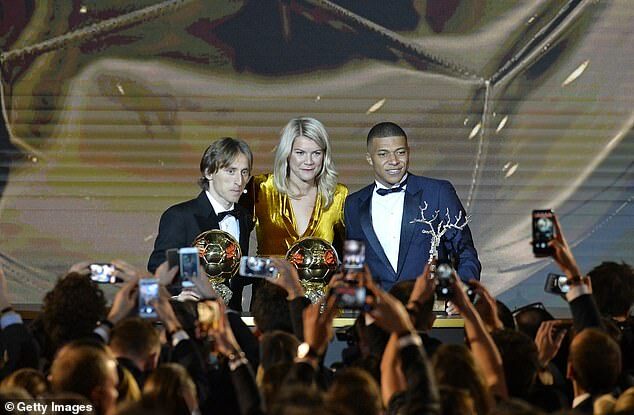 It was also a night of celebration for Kylian Mbappe, the prodigious Paris Saint-Germain striker, who was named the first Kopa winner – a category for players Under-21 – while Ada Hegerberg also made history, picking up the women’s first ever Ballon d’Or in the French capital.